The Snow and Ice Mobility Kit is designed to support a trained IBCT platoon or similarly structured element of forty personnel by improving mobility in high angle/mountainous snow and ice-covered environments by increasing safety. 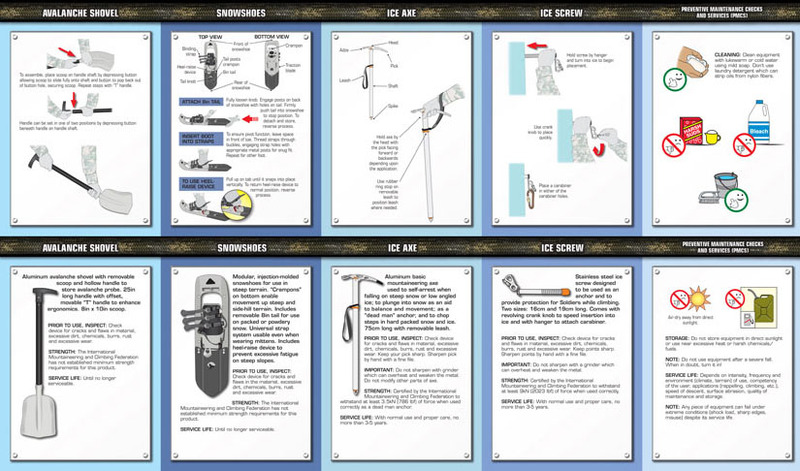 The user guide covers handling avalanches, proper use of snowshoes, ice axe, ice screws. 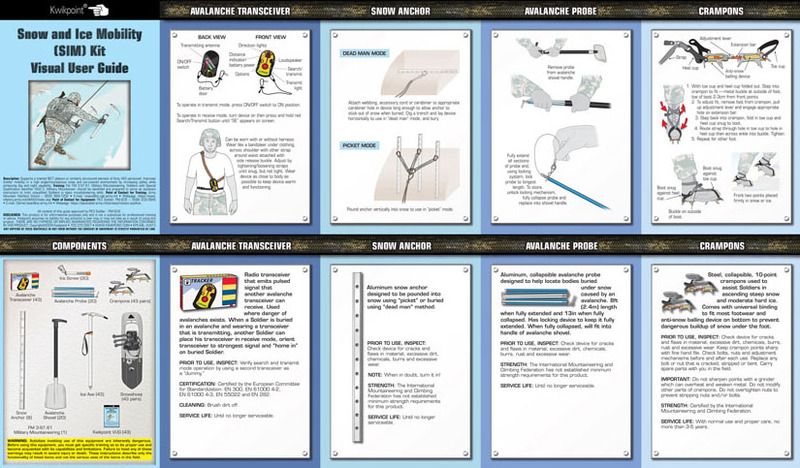 It also includes a checklist of preventative maintenance and service.